I hope your week is going so, so well. It’s crazy to think that we are halfway through the semester and in the home stretch of 2016… College life is full of papers, reading, speeches, meetings, and midterms right now, and I’m sure it’s just as busy for you in high school. Because of all this stress, I want to talk about something that I love about Biola, which is how peaceful it is. College is supposedly the hardest, most stressful time of our lives, and yet, when you think of Biola, I would say that peace is one of the first words that comes to mind. Coming from Atlanta, I surprisingly was not very anxious about moving across the country, or at least that’s what I thought coming in. Once I got to the airport, I started freaking out. I felt this way for the first day and a half that I was in the Los Angeles area. I was buying stuff for my dorm room, and I was questioning everything. What was I doing out here? Why didn’t I just go to the local state school like all of my friends? God, didn’t you call me here? So many questions. Then I stepped onto campus. I know, I know. Cliché. I get it, but it’s so true. I stepped onto campus, and I was like, “Ahhh yes, this is why I am here.” There’s a peacefulness on this campus that’s overwhelming. I believe it’s because the Holy Spirit is so present here. Maybe it’s because we’re supported by an all Christian community? Maybe it’s because we have chapels and spiritual direction resources available all the time? Maybe it’s because we have a 30ft Jesus mural overlooking us? 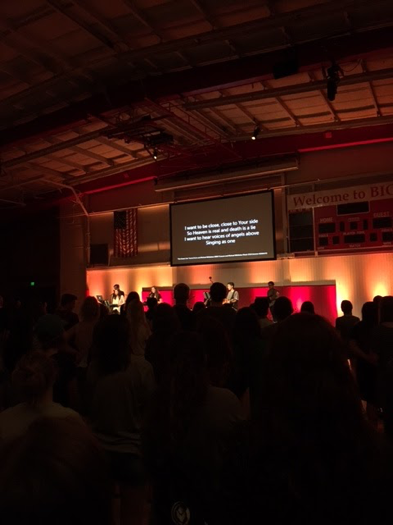 Personally, I believe that God is so present here because we have an administration, faculty, and student leadership team (Residential Advisors, Student Orientation Services, Student Mission Union, and so many other groups) that constantly prays for Biola, our campus, and our students. I encourage you to come step onto campus to feel what I am describing. Words cannot describe the atmosphere here at Biola, but maybe a story will do the job. One of my professors was telling a story about his friend, who happens to be a professor at a school in the area, and his friend was visiting Biola for an academic event. Even though he doesn’t claim to be a Christian, he mentioned, “Man, this place just has something about it that’s different. I just feel so at peace. Is it always like this?” Jeremy (another blogger who is way cooler than me) and I had been talking about how peaceful it is here, and then, in our first year seminar class, a few other students started talking about how peaceful Biola’s campus made them feel. God is so at work here on this campus. Of course, we are all prone to anxiety and depression, and, sure, it’s easy to get overwhelmed. Life is not always perfect here at Biola. It is college. Although college has the potential to be the best years of our lives, it may also be some of the hardest. 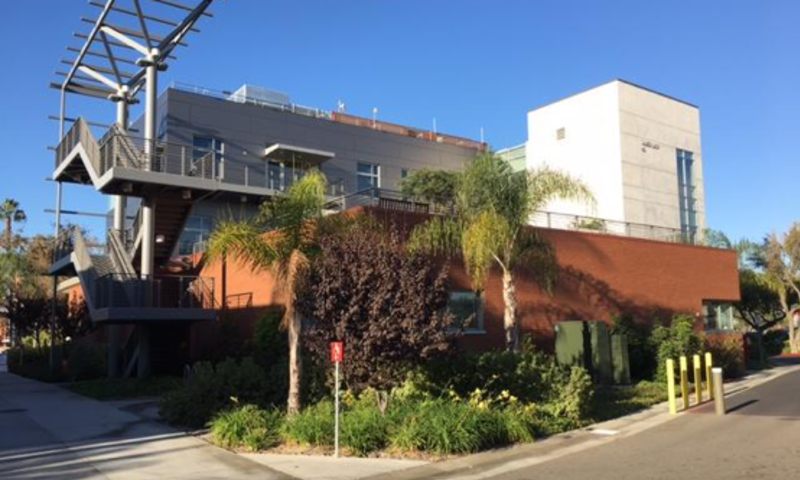 What makes Biola special is you will be equipped to handle suffering here. The community here is unreal. You have resident advisors (student leader on your floor) to talk to, spiritual direction (free spiritually focused counseling) to grow in relationship with God, the Biola counseling center, faculty who care for you, and students who love Jesus and love you. Above all of those great resources, God’s presence is here in abundance. Come visit campus to experience the peace that I just cannot do justice in trying to explain! If you have any questions, please let me know!